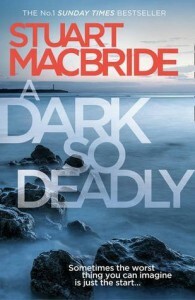 A Dark So Deadly.. - Liz Loves Books.Com. Give me "Fifteen minutes, Twenty tops" and I'll tell you about this brilliant brilliant crime novel. Anyway, probably one of the best I've read in the genre and certainly one of Mr MacBride's best (if not the) Review to follow.